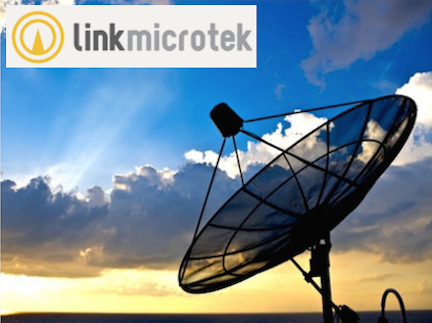 [SatNews] Link Microtek, the manufacturer of RF and microwave components and subsystems, has introduced a new miniature dual-channel rotary joint that has been specifically designed to save space in antennas for Ka-band Satellite-On-The-Move (SOTM) communications systems, which are now being deployed for high-data-rate applications in both the military and commercial sectors. With its high-power transmit channel implemented in a right-angle WR28 waveguide on the fixed (input) side and a female K-type coaxial connector on the rotating (output) side, the AM28CORJD rotary joint measures just 31.75mm (D) x 74.68mm (H), excluding the 50mm-diameter UBR320 standard bulkhead flange.The central transmit channel covers Ka-band frequencies from 29 to 31GHz and delivers excellent microwave performance, with a maximum power rating of 40W CW, a typical insertion loss of only 0.6dB and a maximum VSWR of 1.25:1. The L-band receive channel uses two female SMA coaxial connectors and operates over the frequency range DC to 2.15GHz. It offers a microwave power rating of 1W CW, a maximum DC current rating of 0.5A, an insertion loss of 0.25dB and a typical VSWR of 1.5:1. This robustly constructed rotary joint is fabricated from lightweight aluminum with an Iridite finish, and its performance under extreme environmental conditions either meets or exceeds the requirements of MIL-STD-810G. Other rotary-joint configurations and sizes can be supplied on request, customized to suit specific antenna requirements.